Does this kind of viewpoint from the religious community have basis in God’s words? It has no basis in God’s words; it came about entirely as a result of a misinterpretation of the Bible. The Bible bears witness to the first two stages of God’s work; this is true. However, what is recorded in the Bible does not include all of the words God spoke in the two stages of His work and all of the testimony regarding His work. What is recorded in the Bible is limited. Due to omissions and disputes among the Bible compilers, some of the prophets’ predictions and the testimonies of apostles’ experiences were left out; this is a recognized fact. How, then, can it be said that apart from the Bible, there are no other records concerning God’s work and testimonies of man’s experiences? Were those missing prophecies and apostles’ epistles all mixed with human will? The Lord Jesus did not just say the words recorded in the New Testament; some of His utterances and work were not written there. Should these utterances and work not have been recorded in the Bible? The Bible was not compiled under the direction of God Himself, but jointly by many people in His service. Inevitably, disagreements and omissions would have occurred, or some problems would have come up. Even people in modern times have varying interpretations and viewpoints of the Bible. People must respect the facts, though, so it cannot be said that God’s utterances and work do not exist outside the Bible; this would not be in keeping with the facts. Originally, the Bible consisted only of the Old Testament. Nothing the Lord Jesus said while doing His work of redemption can be found in the Old Testament; as such, are the Lord Jesus’ expressions and redemptive work to be found within the Bible, or outside of it? People do not understand the actual facts, and have absolutely no idea that every time God finished a stage of His work, only then would those facts come into being and be written down in the Bible. To argue that there is no record outside of the Bible of God’s utterances and work is somewhat arbitrary and absurd. The Old Testament and the New Testament were each produced after God had completed a stage of His work, but after the emergence of the Bible, no one knew what other work God would do or what other words He would say; this is fact. Humans simply are not qualified to delimit the Bible like this, or delimit God based on what is written therein. On this point, we can all clearly see how genuinely arrogant, self-righteous and without sense corrupted humanity has become; when confronted with the truth, they even dare to recklessly draw conclusions. Is this not a repeat of the mistake made by the Jewish chief priests, scribes, and Pharisees when they used the Bible to resist God? Thus, we cannot believe in God, follow Him, or investigate the true way entirely based upon the Bible, for it can only be used as a reference. Most importantly, we must base our decisions on whether or not the work of the Holy Spirit is present and whether or not the truth is present; only this foundation is accurate, and only then can we make the right choice. Therefore, such assertions as “Anything that goes against or beyond the Bible is a heresy and a fallacy” really are inappropriate. In the Age of Grace, the Jewish chief priests, scribes, and Pharisees based their condemnation of the Lord Jesus on the Bible and nailed Him to the cross—an act which offended God’s disposition and caused them to be punished and cursed. All of this was the consequence of blindly believing in and idolizing the Bible, and rejecting Christ. Might I ask, did the Lord Jesus’ work of redemption conform to the Old Testament or not? Two thousand years after the Lord Jesus finished His redemptive work, Almighty God has come to do the work of judgment in the last days; is this in line with the contents of the New Testament? Religious circles always use the Bible to delimit God’s work—this is just so ridiculous and absurd! On the surface, they seem to respect the Bible, but all they actually are doing is trying to protect their own positions and maintain their control. They are not genuinely pursuing the truth; the path they are walking is actually that of the antichrist. From this, it is evident that using the Bible as a basis for judging the true way and studying the work of God is erroneous; the only accurate, correct way to ascertain whether it is the true way and the work of God is to base our determination on whether or not the work of the Holy Spirit and the truth are present. It is therefore wrong to say that apart from those within the Bible there are no other utterances or work of God; such claim truly is a fallacy. In religion, due to the preaching of the pastors and elders, all those who believe in the Lord think: All of God’s word and work is contained in the Bible; God’s salvation in the Bible is complete, and there is no word and work of God outside of the Bible; belief in the Lord is to be based on the Bible and sticking to the Bible; as long as we don’t leave the Bible, when the Lord comes we will be taken up into the kingdom of heaven. Such a viewpoint might conform with people’s notions and imaginations, but is it based on the words of the Lord Jesus? Can you guarantee it conforms with the truth? The Lord Jesus has never said that God’s word and work are all recorded in the Bible, that there is no word and work of God outside of the Bible. This is true. People who understand the Bible all know that the Bible was put together by mankind many years after God’s work. God’s work came first, and then the Bible. In other words, every time God completed a stage of His work, those who experienced God’s work would record down God’s word and work from that time, and these records were compiled by people into the Bible. Just think about it: How could the work God has not yet done be compiled into the Bible in advance? God’s judgment work of the last days, in particular, could not possibly have been recorded in the Bible. The New and Old Testaments have been part of the Bible for nearly 2,000 years. 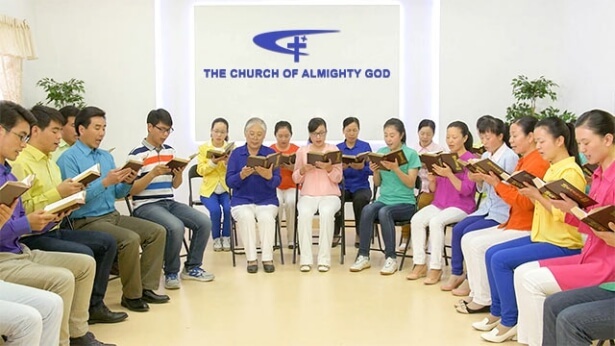 Almighty God has only just started His judgment work of the last days. Therefore, the word and work of God in the last days could not possibly have been recorded in the Bible thousands of years ago. Isn’t that a fact? In the last days, Almighty God has performed the work of judgment beginning from the house of God, expressing several million words. These words are all truths that purify and save mankind, and are the way of eternal life brought by Christ of the last days. They have already been compiled into the Bible of the Age of Kingdom, The Word Appears in the Flesh. Though the truths expressed by Almighty God were not recorded in the Bible in advance, they have completely fulfilled the Lord Jesus’ prophecies: “I have yet many things to say to you, but you cannot bear them now. However, when He, the Spirit of truth, is come, He will guide you into all truth: for He shall not speak of Himself; but whatever He shall hear, that shall He speak: and He will show you things to come” (Jhn 16:12–13). “He that has an ear, let him hear what the Spirit says to the churches” (Rev 2:7). The truth expressed by Almighty God has completely verified that Almighty God is the embodiment of the Spirit of truth. He is the incarnate God. All words expressed by Almighty God, that is, the expressions of the Spirit of truth in the last days, are words from the Holy Spirit to the churches. Do we dare say these are not the words of God? Do we still dare deny this? If we see the reality of God’s speaking and working in the last days, would we still say all of God’s words are recorded in the Bible and that there is no word and work of God outside of the Bible? We don’t understand the inside story of how the Bible was formed. We don’t know the fact that the Bible was formed only after God completed each stage of His work, and yet we arbitrarily conclude and determine that there is no word and work of God outside of the Bible. Aren’t we quite arbitrary and absurd? If we do not understand how the Bible was formed and its inside story, it can be very easy to deviate on the path to believing in God. In fact, during the two stages of God’s work in the Age of Law and the Age of Grace, all of the words expressed by God were not completely recorded in the Bible. For instance, in the Age of Law, there were some prophets whose prophecies were not recorded in the Bible. This is a fact probably quite a few brothers and sisters know about. Then in the Age of Grace, there were even more words spoken by the Lord Jesus. But the words recorded in the Bible are too limited. Just think. The Lord Jesus preached on earth for three-and-a-half years. How many words would He have spoken each day? How many words would He have spoken each sermon? There were way too many sermons and words spoken by the Lord Jesus in those three-and-a-half years. There is no way to calculate it. Just as John the Apostle said: “And there are also many other things which Jesus did, the which, if they should be written every one, I suppose that even the world itself could not contain the books that should be written” (Jhn 21:25). Let’s now look at the Four New Testament Gospels. The words of the Lord Jesus recorded in these are too limited! It’s only the tip of the iceberg! If the Lord Jesus had only said those few words in the Four Gospels during those three-and-a-half years, how would He have been able to conquer the people who followed Him at the time? How would the work of the Lord Jesus have been able to shake up all of Judea? Therefore, it is certain that the words of God recorded in the Bible contain only a very limited portion, certainly not all the words spoken by God during His work. This is a fact nobody can deny! We all know that God is the Lord of creation, the source of mankind’s life, the wellspring of living water that never runs dry. God’s richness is inexhaustible in supply and always available for use, whereas the Bible is merely a record of the first two stages of God’s work. The amount of God’s word that is recorded is far too limited. It’s like a drop in the sea of God’s life. How could we delimit God’s word and work to just the Bible? It’s as though God could only say those limited words in the Bible. Isn’t this delimiting, belittling and blaspheming God? Therefore, to delimit all of God’s word and work to the Bible and to think that there is no word and work of God outside of the Bible is a major mistake! Let’s next read a few passages of Almighty God’s words, and we’ll be even clearer on this aspect of the truth. Almighty God says, “The things that are recorded in the Bible are limited; they cannot represent the work of God in its entirety. The Four Gospels have fewer than one hundred chapters altogether, in which are written a finite number of happenings, such as Jesus cursing the fig tree, Peter’s three denials of the Lord, Jesus appearing to the disciples following His crucifixion and resurrection, teaching about fasting, teaching about prayer, teaching about divorce, the birth and genealogy of Jesus, Jesus’ appointment of the disciples, and so forth. However, man values them as treasures, even verifying the work of today against them. They even believe that all the work Jesus did in His life amounted only to so much, as if God were only capable of doing this much and nothing further. Is this not absurd?” (“The Mystery of the Incarnation (1)” in The Word Appears in the Flesh). “If you wish to see the work of the Age of Law, and to see how the Israelites followed the way of Jehovah, then you must read the Old Testament; if you wish to understand the work of the Age of Grace, then you must read the New Testament. But how do you see the work of the last days? You must accept the leadership of the God of today, and enter into the work of today, for this is the new work, and no one has previously recorded it in the Bible. … The work of today is a path that man has never walked, and a way that no one has ever seen. It is work that has never been done before—it is God’s latest work on earth. … Who could have recorded every single bit of today’s work, without omission, in advance? Who could record this mightier, wiser work that defies convention in the moldy old book? The work of today is not history, and as such, if you wish to walk the new path of today, then you must depart from the Bible, you must go beyond the books of prophecy or history in the Bible. Only then will you be able to walk the new path properly, and only then will you be able to enter into the new realm and the new work” (“Concerning the Bible (1)” in The Word Appears in the Flesh). “After all, which is greater: God or the Bible? Why must God’s work be according to the Bible? Could it be that God has no right to exceed the Bible? Can God not depart from the Bible and do other work? Why did Jesus and His disciples not keep the Sabbath? If He were to keep the Sabbath and practice according to the commandments of the Old Testament, why did Jesus not keep the Sabbath after He came, but instead washed feet, covered head, broke bread, and drank wine? Isn’t this all absent from the commandments of the Old Testament? If Jesus honored the Old Testament, why did He defy these doctrines? You should know which came first, God or the Bible! Being the Lord of the Sabbath, could He not also be the Lord of the Bible?” (“Concerning the Bible (1)” in The Word Appears in the Flesh). “The fact that I am explaining here is this: What God is and has is forever inexhaustible and limitless. God is the source of life and all things. God cannot be fathomed by any created being. Lastly, I must still remind everybody: Do not delimit God in books, words, or His past utterances again. There is only one word for the characteristic of God’s work—new. He does not like to take old paths or repeat His work, and moreover He does not want people to worship Him by delimiting Him within a certain scope. This is God’s disposition” (Afterword to The Word Appears in the Flesh). Previous：Question 22: You bear witness that Almighty God is God incarnate who is currently doing His work of judgment in the last days, but the religious pastors and elders say that the work of Almighty God is actually the work of a human being, and on top of that, many people who don’t believe in the Lord Jesus also say that Christianity itself is just belief in a man. We still cannot discern what exactly is the difference between the work of God and the work of man, so please fellowship on this with us. Next：Question 24: Religious pastors and elders hold to the words of Paul in the Bible: “All scripture is given by inspiration of God” (2Ti 3:16), believing that everything in the Bible is God’s words. But you say that the Bible is not entirely made up of the words of God, so what is this all about? God causes man to gain life from His words, and this is the greatest of all signs, and even more so, it is an undisputable fact. This is the best evidence through which to have knowledge of God, and is an even greater sign than signs. Only these words can make man perfect. ...All the work done this day is so that man can be made clean and be changed; through judgment and chastisement by the word, as well as refinement, man can cast away his corruption and be made pure.